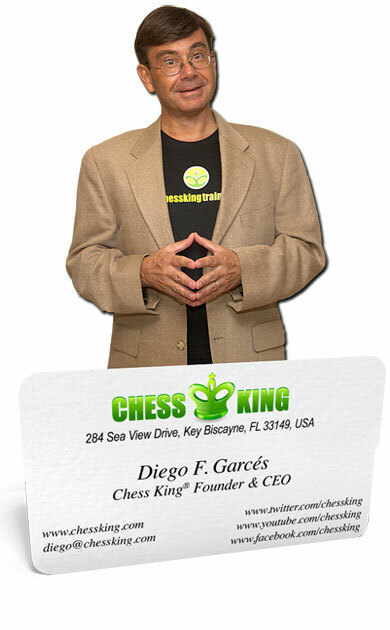 My name is Diego, and I am the creator of the Chess King™ brand. Alexandra Kosteniuk, an international Grandmaster and the 12th Women’s World Chess Champion is officially the Chess Queen™ and supports the Chess King brand. Alexandra and I have been in Chess most of our lives. 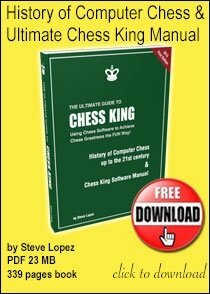 Our goal has been to come out with a chess software program that was at the same time state-of-the-art, powerful, complete, easy to use, educational and most of all affordable so that anybody could use it. The result of our last few years of work is the chess software Chess King™. I am thankful for my collaboration with the excellent developers of ChessOK and with the brilliant creator of the Houdini Chess engine, Bernard Houdart. 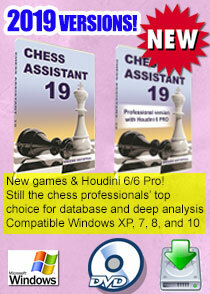 Together, we have created a product which will undoubtedly make you a better chess player. We are now at the 8th generation of our software. Each generation it gets better. 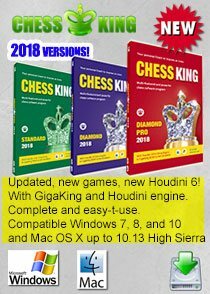 Our current 2018 versions Chess King Standard, Diamond, and Diamond Pro now are now better than ever and we even have installers for both PC’s (works also with Windows 10), and for Mac (works also with OS X 10.14 Mojave). You can find all our products in our shop. 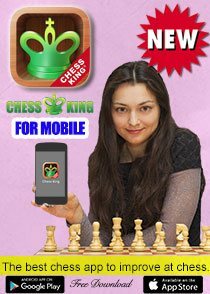 We have now also created a brand new mobile app Chess King™, which is a free download and works on both iOS (iPhone and iPad) and Android (phones and tablets). We have the world’s best educational chess courses, with over 60 complete courses by Chess King, ChessOK, and Chess Informant. We have options to purchase individual courses, subscribe to some or all courses, and even have a “Forever” all Chess King Course subscribe option. 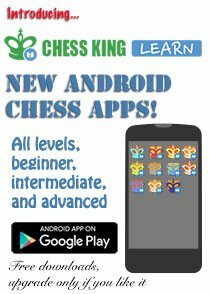 You can download the free Chess King App here. You can find my contact data in the business card above.